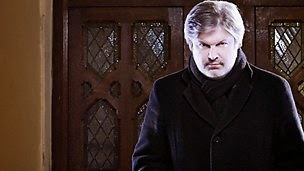 A few months ago, Gramophone magazine asked me to prepare a profile of the Scottish composer James MacMillan, who celebrates his 55th birthday this year. Knowing his output from my work reviewing church and choral music, I thoroughly enjoyed delving deeper into this highly imaginative and accessible voice, so reprint my article here, not quite as it appeared in Gramophone. Since then, however, I have been seeking out MacMillan's music and have taken a great liking to everything I have heard. Might I recommend readers of this to head towards this disc when it appears later this month? I've reviewed it for September's Gramophone, so my lips are sealed; let's just say, I loved it! This is going to be Scotland’s Year in the limelight. September sees the historic referendum to determine whether or not, 700 years after the Battle of Bannockburn effectively consolidated Scottish Independence, and after 307 years of union, Scotland breaks away from the United Kingdom to become a fully independent state. Meanwhile, the eyes of the sporting world will focus on Glasgow in July when the city hosts the 20th Commonwealth Games. Receiving rather less coverage in the global media, but nonetheless significant in its own small way, October will see the launch of a brand new Scottish music festival, the Cumnock Tryst, which will welcome some significant artists to the country attracted not so much by the architectural gems or gentle climate of this small Ayrshire town, as by the festival’s Artistic Director, James MacMillan, the doyen of the current breed of Scottish composers, for whom 2014 is also something of a landmark; he turns 55 this year. Beyond choral music, MacMillan’s latest works give a vivid demonstration of the extraordinary range of this amazingly versatile composer. January saw the première (in London) of the Viola Concerto, the latest in a series of concertos conceived along traditional lines which so far have included works for piano, violin and oboe. Last November an organ piece, St Andrews Suite composed for the 600th celebrations of the founding of the University of St Andrews, was premièred by Thomas Wilkinson in the University’s ancient St Salvator’s Chapel, scene of some of Scotland’s more extreme religious conflicts. July saw the première in Stuttgart of an orchestral poem, The Death of Oscar, inspired by a monumental Scottish sculpture by Alexander Stoddardt, while in February 2013 his sixth opera, Clemency, based on the Old Testament tale of Abraham and Sarah, was staged in the US after its successful première at the Royal Opera House. And earlier this year MacMillan personally promoted musical Scotland abroad when he directed the BBC Scottish Symphony Orchestra on tour in India.